but plz tell me as to how we download the songs to the media player??? wat's the use of infrared??? No joe,. thats impossible to do..
do i can cheng memory from 12 to 64? better upgrade the firmware of your phone..
Is there any way to delete some of the preinstalled files which takes up around 6 MB. Some of these files can be deleted but space is not freed up and these files tend to reappear on master reset. Earlier I could not understand why the space is not freed up but after doing master reset, I can understand. Please let me know if there is some way i can delete some of these files. thanx alot to the person who sent me the info. on games it was helpful. Q1)How much memory is available to the user[out of 12 mb] to put in ringtones/pics and can you increase it[how]? Q2)What is the speed of data transfer via the data cable? Q3)Can one change the brightness of the screen, how? -BTW, guyz i just wanna have my next SE phone next year maybe. in your opinion, whats better: K750,S700,or P900? two are of SE's best imaging, and one's for one of the best PDA phone ever made before, someone suggest? this phone is nice. although it needs blue tooth,and cam needs a little sharpening i have it for 8 months. how can i get new games though thats what am interested in. some one plz help me. To King T610, there is one official sony ericsson k300i at www.sonyericsson.com/k300 but u need to have the latest flash player , if not you will unable to see them! Oh, It's that so? Anyway, thanks a lot sef. I thought that its the same settings for the screen. Thanks again. This K300's camera works great, u can change the size of your image: 160,320, 640 or 1280 pixels! and don't forget that it just a VGA camera! jb, its not sooooo bad! I have mine about a month ago, and only one java app crashed it (I tried a lot!). To silent the ringer, just press # during the call. If you press # in standby it goes to silent mode. If you see closely, there is a music note on the key. 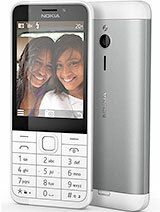 If you prefer a Nokia, go ahead and buy it!